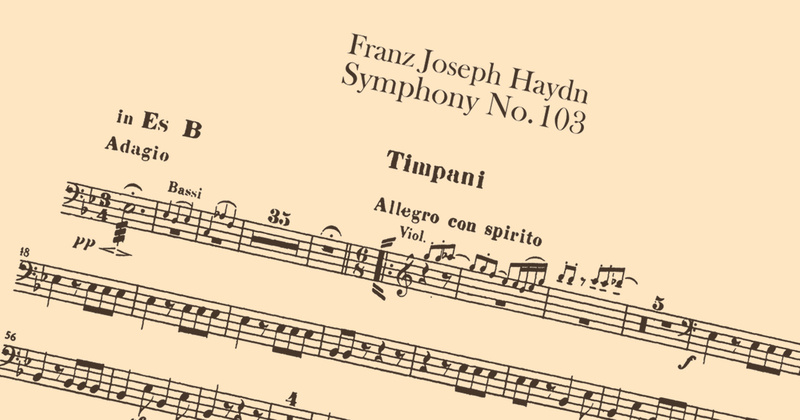 During the second half of 2018, the Launceston Symphony Orchestra will be playing movements from the Haydn Symphony No. 103. This was the main work from the 2018 Winter Orchestra Workshop. Practice parts for this symphony may be downloaded from the Winter Orchestra Workshop Sheet Music page. The 2018 LYCO Mid Year Concert will feature two Mozart piano concerti. Both pieces are public domain and are available from the International Music Score Library Project (IMSLP). We have mirrored the parts here. Please download your practice parts using the links below. This reduces the load on the IMSLP servers and guarantees that we all use the same edition. The Intermezzo Strings are playing the Piano Concerto No. 1 in F Major. We are using the parts notated by Raymond Weiss. The Launceston Symphony Orchestra is playing the Piano Concerto No. 27 in B♭ Major. We are using the parts published by Breitkopf & Härtel.